Need to update email your account is registered with? Misspelled email? 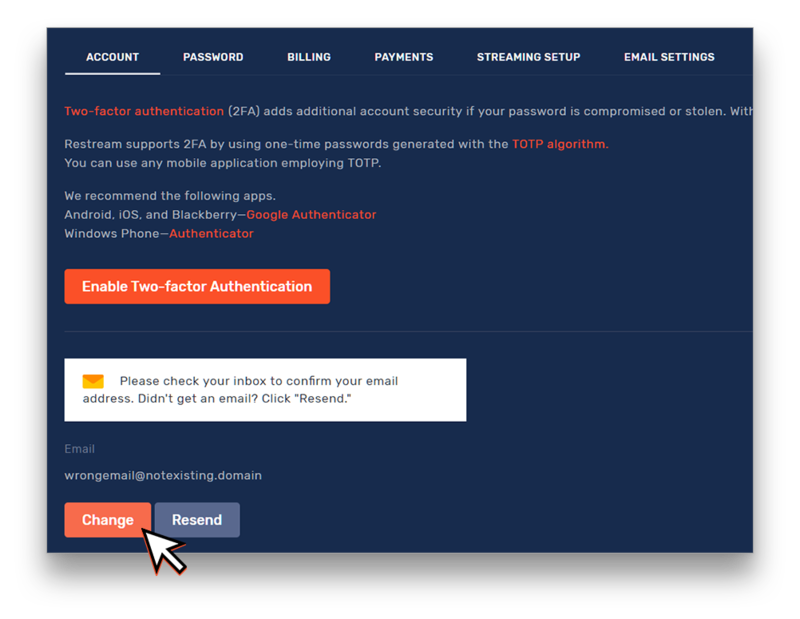 If you are willing to change email or your registration at Restream, you can easily do it in your account. 1. 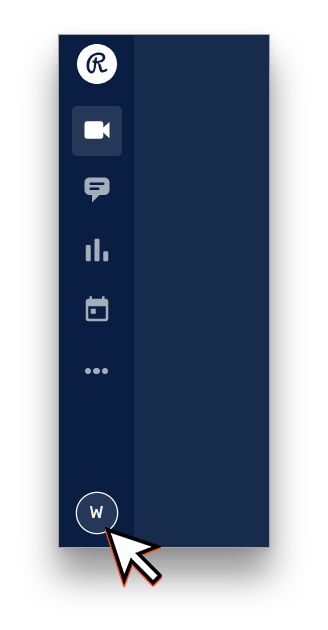 Go to the left menu bar and click the circle with the first letter of your current email. 3. 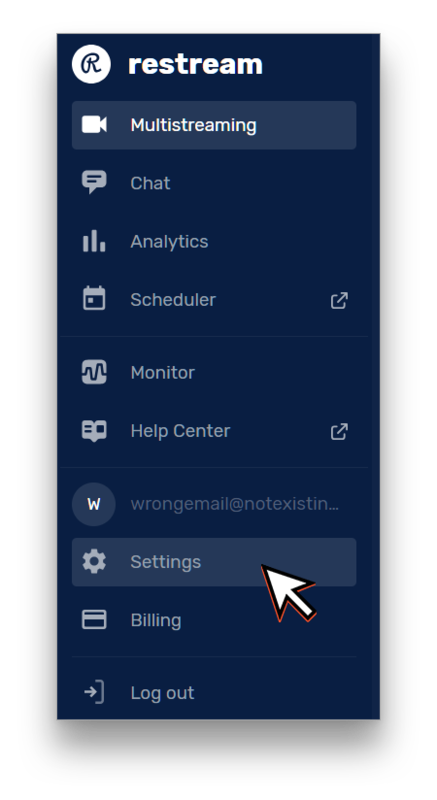 In the Account menu, you will see your current email address. If it is not confirmed you can press Resend to get a new verification email, or press Change to update it. 4. 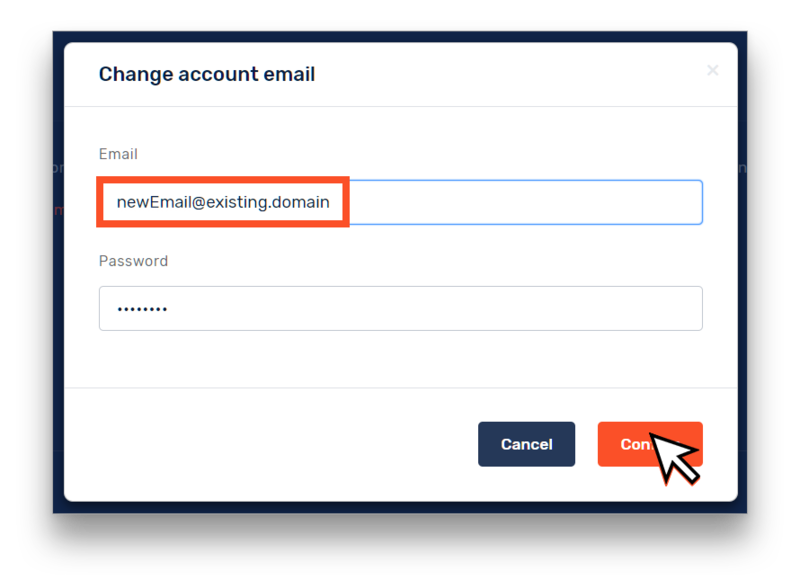 If you're changing your email, you need to enter a new email and confirm it with your password. Press Confirm when you're ready. 5. That's it. Now your email is changed. You need to confirm your new email address with a link from the confirmation email. You can now use your new email to enter your Restream account and get reports and updates to it!